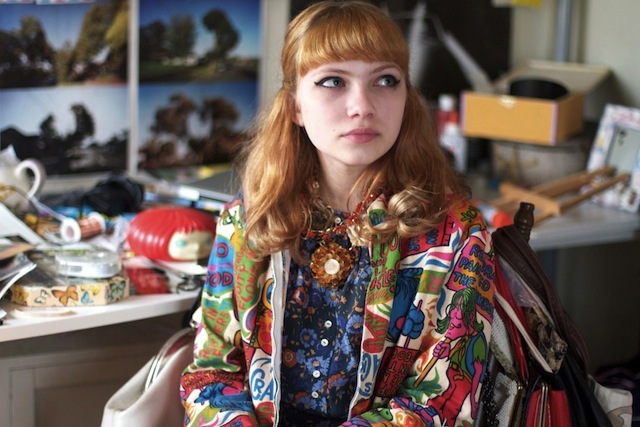 Tavi Gevinson has accomplished more in her 17 years than most people do in a lifetime. Don’t let her youthful appearance fool you, this young woman has a résumé that includes titles like author, founder, actress, Broadway star, and voice of a generation. At eleven years old, Tavi founded Rookie Style – a fashion blog featuring photos of her in funky outfits accompanied by witty commentary on trends. The blog began to garner nearly 30,000 readers each day which sparked the interest of The New York Times, who then contacted young Tavi for an interview. Due to the massive success of her blog, she was invited to both New York Fashion Week and Paris Fashion Week where she made contacts and eventually found herself writing articles for Harper’s Bazaar and Barneys.com. In 2011, Tavi decided to broaden her creative horizon and founded Rookie Magazine. The fifteen year old’s newest endeavor was to focus on issues from a teenage perspective, making the exception for contributing writers Judd Apatow, Lena Dunham, Jon Hamm, Paul Rudd, and John Waters. Fans and readers flocked to the site, gaining enough views and revenue for Tavi to create a print issue titled Rookie Yearbook One which was published in 2012. In 2012, following the publication of Rookie, Tavi voiced a character for Jonah Anseel’s animated film Cadaver with co-stars Kathy Bates and Christopher Lloyd. That same year, she filmed a role in Nicole Holofcener’s Enough Said alongside James Gandolfini and Julia Louis-Dreyfus. Amidst her newfound acting chops, the sixteen year old took time to voice her support for Barack Obama’s reelection campaign. Although she was not old enough to legally vote, the young entrepreneur encouraged young people to swing their vote in favor of the democratic party. Tavi has most recently been in headlines for interviewing both Lorde and Miley Cyrus. In her interview with Lorde for Rookie, the wunderkind maintains her professionalism while also being one of the only journalists to truly relate to the singer on a personal level and it shines through with their witty banter. Tavi also took a stab at interviewing Miley for Elle Magazine‘s April issue, leaving no topic off limits. This year, Tavi will turn eighteen will be taking the stage for the revival of Kenneth Lonergan’s 1996 play, “This Is Our Youth” on Broadway alongside Michael Cera and Kieran Culkin in August – adding yet another title to her growing résumé.